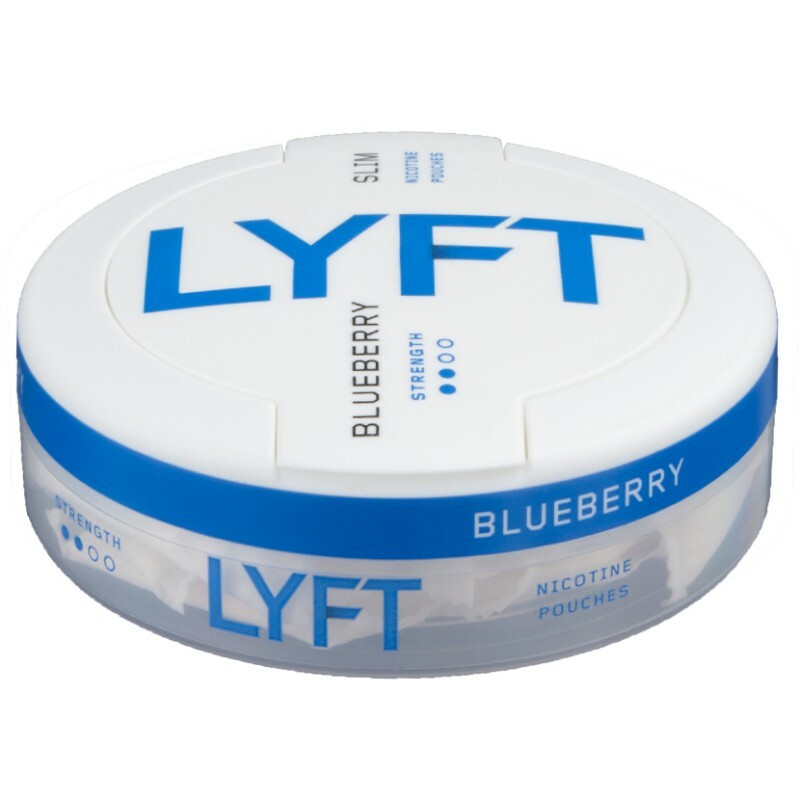 Experience a fruity blueberry-flavor and a pleasant nicotine-kick (6 mg/portion) with Lyft FKA Epok) Blueberry Slim. These Tobacco free and slim nicotine pouches delivers the same fresh and stimulating sensation as Epok but now it's even whiter and fresher! Lyft (FKA Epok) Blueberry Slim provides a fruity flavor-explosion of blueberry complemented with tasty forest herbs and delivers a medium strenght (6mg nicotine/portion) nicotine-kick.